DNA kits are easy to use, affordable, and can help you learn about your family's history. Read our articles to answer all of your questions about DNA testing kits. Home DNA testing kits that tell you what diet works best and how to optimally lose weight are growing in popularity, but are they legit? Here's a breakdown of what they do and if they're worth the money. It can be difficult to keep track of the different pricing for DNA testing kits, and that's without considering the almost daily promotions offered. Find out exact pricing details here. DNA testing is available for dogs and most pets and they're growing in popularity. Check out everything you need to know about DNA testing for your furry friends right here. 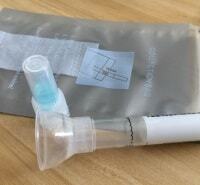 The home DNA kit industry is exploding, but are they accurate enough for you to buy one? Get the whole picture here. 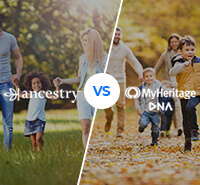 When deciding between MyHeritage and 23andMe for DNA testing kits, it's important to understand exactly what each offers. Here are the specifics of what these 2 giant companies offer. What Are the Best DNA Tests for Finding Lost Relatives? A DNA kit can help you find distant relatives you've been searching for and can even help you contact them. The DNA kits will help you in your search. Learn how to read your DNA test results and get the most out of your DNA testing kits. What's the Difference Between Autosomal, Mitochondrial, and Y-Chromosome DNA Testing? Find out the main differences between the 3 types of DNA tests and what each type is best for. 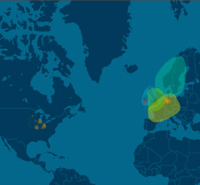 Both Ancestry and MyHeritage are leaders in the world of DNA testing kits, but is one better than the other? Read here to find out. 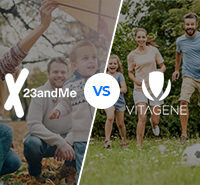 23andMe and Vitagene both offer DNA testing kits that can help you find out about your ancestry. We compared the 2 to see which is superior.